One of the most frustrating but common child behavior problems is dawdling. Some children may be more naturally inclined to dawdle, daydream, and procrastinate more than others, but it's such a common behavior among kids that most parents know the exasperating feeling of having a child continue to play or engage in another activity and seemingly ignore something they have been repeatedly asked to do. The good news is that there are ways you can manage this irritating behavior and help your child learn to move things along. What may seem like a child ignoring your requests to, say, put away his toys or wash his hands for dinner is most likely a result of his being focused on an activity. This inability to transition from one activity to another easily is very common among young children, who lack the self-regulation and discipline to leave something they are engrossed in and go on to something else. Dawdling may also be the result of personality. Some kids are naturally more inclined to daydream and may be easily distracted by something else while, say, brushing her teeth or cleaning her room. Consider what changes may account for her behavior. Is there a new sibling in the family? Did your child recently start school? Sometimes, a change in family routines may be a cause for a change in a child’s behavior. For instance, a child may have been excited about a new sibling or starting school, only to suddenly realize that he is not completely happy about the changes. Think about what could be causing the dawdling, which could be your child’s way of expressing a reluctance or unhappiness about something new or different. Get down to her level. Do you ask your child to get her things together for school while you are occupied with something else? If you see that your child is not responding after repeated requests to get ready, stop what you are doing. Get down to her level and talk to her face-to-face about what she is not doing correctly and what you expect from her. It can be terribly frustrating to see your child still playing with his toys on the floor after the umpteenth reminder to put on his jacket. But yelling or using a harsh tone to express your frustration may only get him to move faster for that one occasion. Moreover, you will be able to express yourself more clearly and your child will be able to hear you better if you are speaking in a calm manner. A better strategy that will lead to a longer-term solution is to stay calm, get his attention, and firmly remind him that you have repeated your request several times and you expect him to do as you ask without reminders in the future. Explain the consequences of dawdling. Tell her in clear detail what happens if you do not stick to a schedule. For example, explain that if she is not dressed in time to leave for school, you will arrive late. That will mean she misses hello time with her teacher and friends and may miss a chance to hear an interesting story or other morning activity. If she doesn’t clean up her toys in the evening in a timely manner, she will have less time for reading her favorite story with you at bedtime. Until your child works through this phase of development, set aside some extra time in the mornings or evenings, or whenever dawdling is most problematic in your home. Set the alarm a bit earlier or begin toy clean up earlier to plan for delays. Look at it as a work in progress. Don’t expect the dawdling problem to go away immediately. 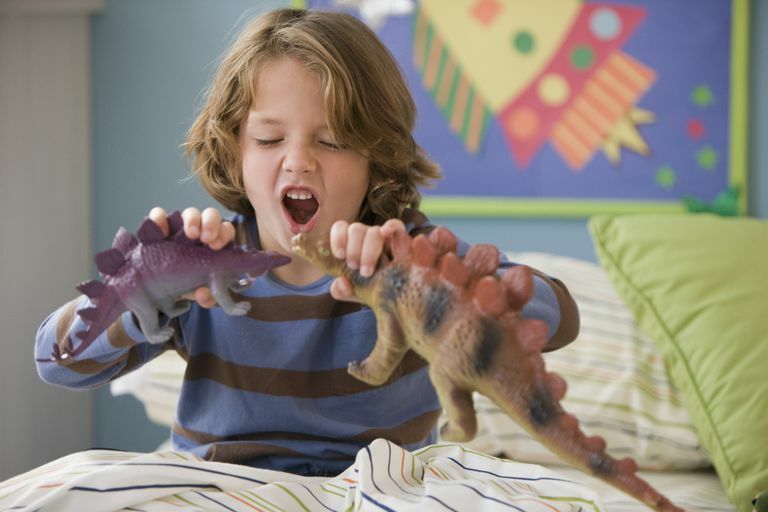 Your 5-year-old child will need several repeated reminders about moving things along before he gets the hang of it. And remember: as your child gets older, he will naturally grow out of dawdling. Until then, be supportive, patient, and understanding.